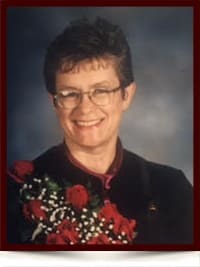 Sharon Ann Butterwick (nee Bakker) - Edmonton's Burial & Cremation Professionals | Trinity Funeral Home Ltd.
Sharon Ann Butterwick (nee Bakker) died peacefully in Edmonton on January 25, 2017 at the age of 60. Sharon is survived by: mother Gertie Bakker of Red Deer; siblings: Harvey (Pam) Bakker of Leduc, Stephen (Gail) Bakker of Salem Oregon, Larry Bakker of Edmonton, Maralyn (Garth) McLean of Rocky Mountain House, and Duane (Sara) Bakker of Leslieville; her sons: Cory Butterwick of Edmonton, and Keith (Kylie) Butterwick; her grandchildren whom she was very proud of: Adria, Kristian, Tyler of Edmonton and Camryn of Fort Saskatchewan. Sharon was born on February 11, 1956 in Edmonton. She completed all of her schooling in Rocky Mountain House, graduating from the Rocky Jr Sr High School in 1973. She married Doug Butterwick in 1974. After divorcing, she upgraded her high school marks and began her x-ray technician course. Once Sharon finished this she completed her ultra sound course. She enjoyed her work every day. Sharon was an avid sports fan, she enjoyed playing baseball (being the only woman to clear the fence), volleyball and in her later years GOLF (sometimes playing 36 holes in one day). This became her passion. We invite her friends and family to come and share the best memories Sharon. In leiu of flowers , we request a donation be made to further cancer research. So sorry for your loss. Sharon was a lovely woman who I enjoyed working with in my early days as an ultrasound tech. We stayed in touch all these years and talked at length about her diagnosis. She was very positive in the early days and had a great faith in Jesus. I know she is without suffering now. The earth will be a little dimmer without her. My deepest condolences for your mom’s passing. I had an opportunity to be one of the many that spent time golfing with her…she certainly was passionate about it!! Unfortunately, I will not be able to attend today’s funeral because I’m out of the country. I am so sorry that I cannot attend today’s funeral. Sharon was a part of my life since I was three years old and, at times, was like my second Mom. She was one of the strongest women that I have ever met. My entire family loved her and we will all miss her terribly. I am so very sorry for your loss. We will miss Sharon who was a good friend and a great Tech! Best of all, she loved her family and golf!! May you be comforted knowing that she is at peace. Very sorry to hear of the loss of your mother, she was a good friend and she will be greatly missed.